ApparelNY Stylish Pajama sent. Cotton and Spandex blend. 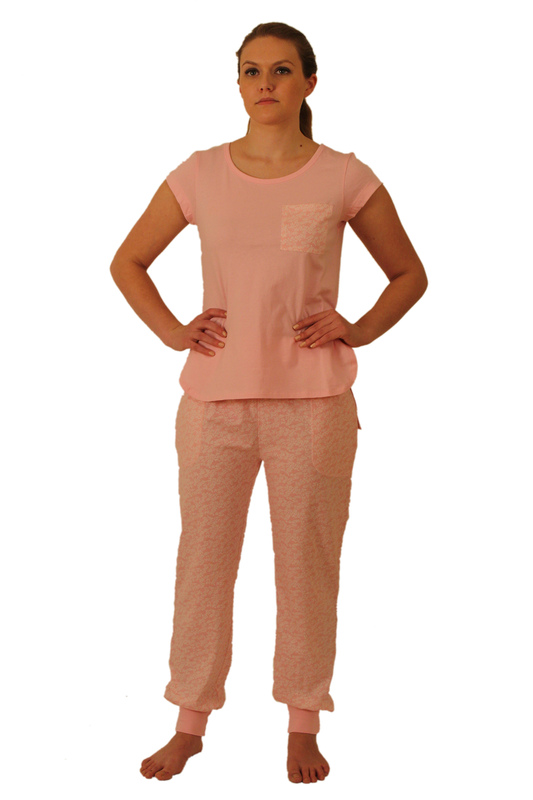 This stylish pajama set is perfect outfit for lounge wear and sleep wear. The top has a stylish hem line and a small pocket in the front. The pants have side pocked detail and cuffs on the legs. This PJs are supper comfy and stylish and it is perfect to give as a gift. The Pajama set is available in two prints and one solid color. The sizes available are from XS-XL.